Sailor, businesswoman and mother. Terri Cortvriend&apos;s love of the water - and her husband - led the 48-year-old to her position as owner and president of Ocean Link, a Rhode Island marine plumbing engineering and installation company known for its sanitation systems and watermakers. Beyond her business savvy, there is a comfortable feel to Cortvriend&apos;s office in Portsmouth, an island community in the middle of Narragansett Bay, and to her personality. A chocolate lab named Désirée and a Portuguese water dog, Jacques, make themselves at home in the office from which Cortvriend oversees a staff of eight. "I have a great team and great customers," says Cortvriend, scratching Jacques&apos; ears. 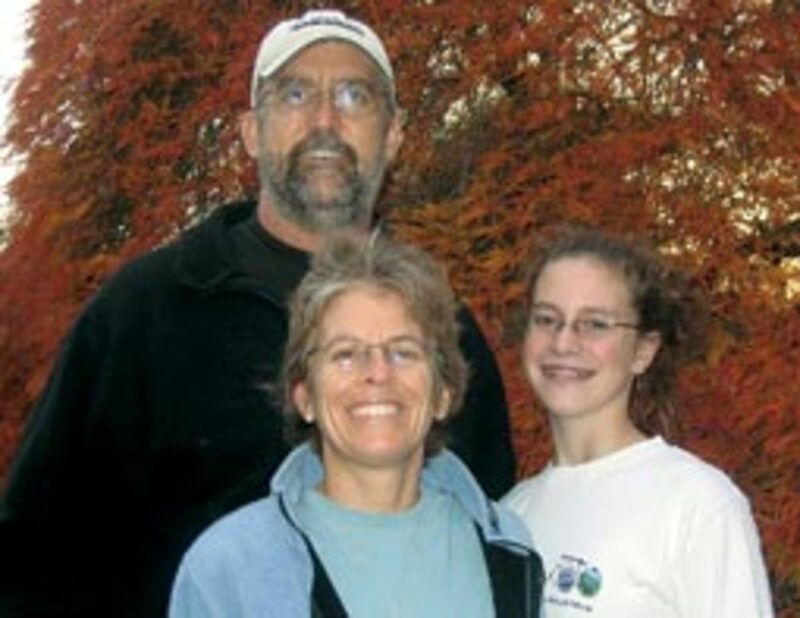 "But in the end, I&apos;m still a regular mom of a 17-year-old daughter [Savannah]. And that&apos;s a great job, too." 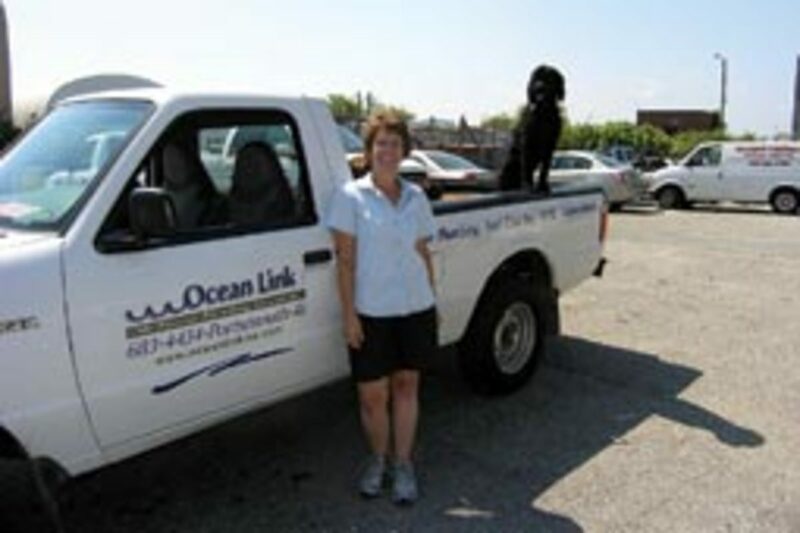 Ocean Link was founded in 1989 by Cortvriend and her husband, Andy, as a boat maintenance jack-of-all-trades venture and they worked as business partners until his death in 2006. "We started out with just us and one other person," says Cortvriend. In 1998, the state designated its entire coastline a no-discharge zone, which gave the husband-and-wife team a central focus to their business plan. "We realized that no one was really doing sanitation in the area and so we thought we could have that as our primary product line," Cortvriend says. Andy took care of the engineering aspects of the business - customizing plumbing and electrical systems for each vessel. After his death from cancer, Cortvriend says it was a challenge to fill that void. "We really were a true mom-and-pop business, but now I had to reorganize," says Cortvriend. "In other words, it had to go from a casual to a more formalized way of thinking to improve our business practices." Cortvriend spent much of her time at home in the six months before Andy&apos;s death, leaving the business on what she refers to as "autopilot." She then had to take the helm and get things back on course. Cortvriend grew up in Miami and caught the boating bug early on, spending the warmer months at her family&apos;s summer home in Key Largo, Fla. 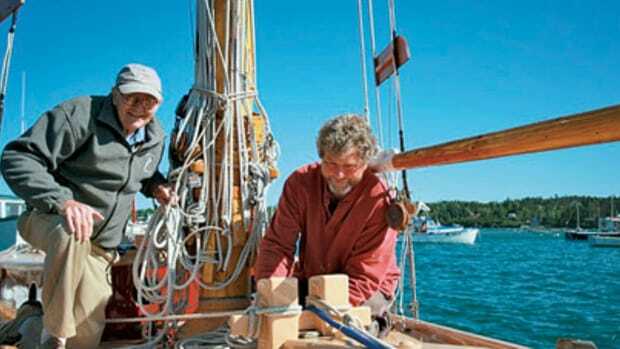 In the late 1970s, her mother acquired a 42-foot Endeavor ketch that Cortvriend&apos;s family lived on for a few years. Around the same time, Cortvriend began sailing competitively on Biscayne Bay. "I think I sailed on an old Columbia, if memory serves correct. From there, I met other people with small cruising sailboats and made several trips to the Bahamas for fun and racing," says Cortvriend. "For a short time in the early &apos;80s I was also part owner of an old wooden boat, a Matthews 38, that I lived on. It was an ongoing restoration project I never saw completed." She obtained her 100-ton captain&apos;s license in 1986, the same year she met Andy on the docks in St. Thomas in the U.S. Virgin Islands. Both were looking for work on boats. 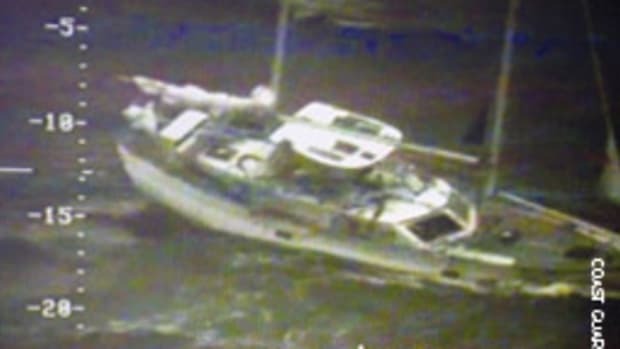 One thing led to another and soon they were running a chartering business that included both sailboats and powerboats in the 50- to 70-foot range. When they decided to move into a new venture, Ocean Link began taking shape. 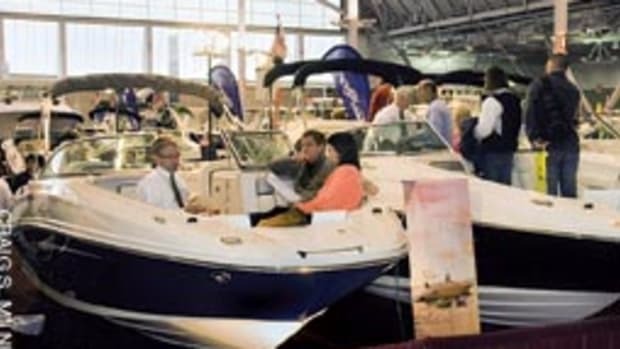 "We thought about what people really need on their boats that wasn&apos;t being marketed heavily," says Cortvriend. "We also wanted to choose the best place to raise a family. We had a network up here of potential customers and friends familiar with the area, so we started with a little tiny shop next door to where we are now." The Cortvriends tapped into their own experience with boats to help guide their business decisions. "We expanded our line of watermakers and kept in line with the plumbing regulations," says Cortvriend. "Living and working on boats has made me more aware of the equipment used and the issues that can come up with the maintenance. It helps me think of ways it can be improved upon." In 2008 Cortvriend hired Brian Paiva, lead technician and project manager, along with Mark Mutty, service and operations manager, to fill the technical expertise gap left by Andy&apos;s death. Cortvriend estimates the company designs and installs about 12 new sanitation systems a year on boats ranging from 28 feet to 100-plus feet, although the current recession is inspiring more people to upgrade their existing systems rather than buy new. "Installation of an electric toilet starts at about $2,500 and if a person needs a new holding tank, it could easily add another $2,500 to the job," says Cortvriend. "While our installations have dropped off with the economy, service has picked up significantly." 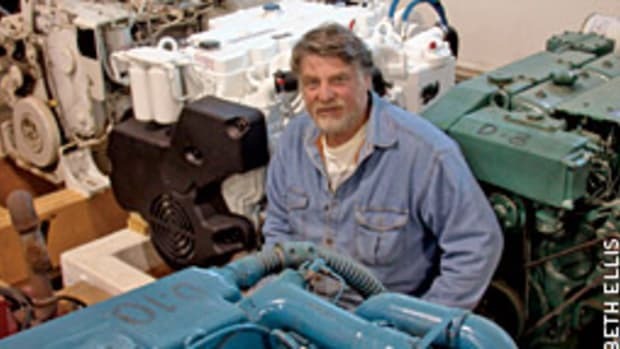 Cortvriend says Ocean Link also installs about the same number of high-end watermakers, a job that starts at about $6,000. A new watermaker should last eight to 10 years, she says. Cortvriend says she strives to supply quality brands that give customers the most for their money. Among them are Headhunter, VacuFlush, Microphor, Saniflo and Horizon Reverse Osmosis. "I try to deal with companies that stand behind the good quality of their products," says Cortvriend. "We always want to improve our customer&apos;s experience with high-end and high-quality products and installation that&apos;s neat and tidy. When we&apos;re through, it should look like it&apos;s always been there." 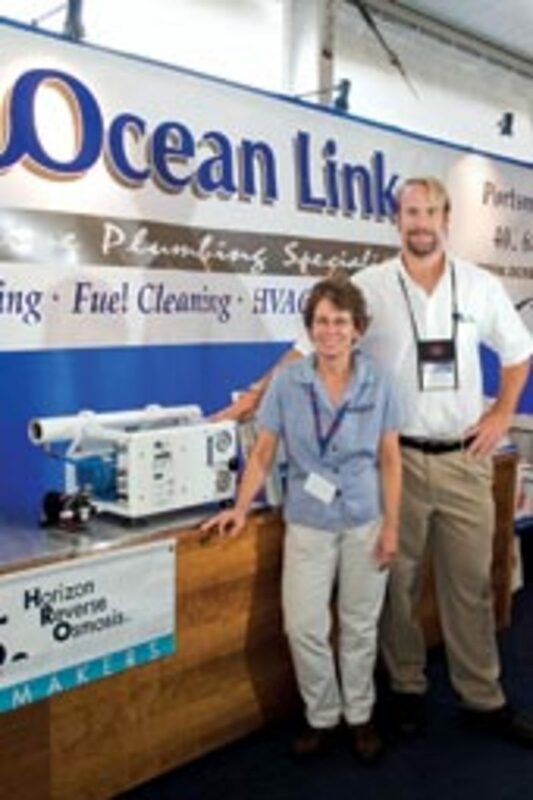 Beyond watermakers and sanitary systems, Ocean Link also offers services such as air conditioning and heating installation, custom-fit holding tanks and boat maintenance such as diesel engine fuel cleaning, varnishing and winterization. While the company doesn&apos;t manufacture any products itself, Cortvriend says it will customize products to fit the specific needs of customers. Cortvriend says the transition to assuming control of Ocean Link was not an easy one and she&apos;s quick to credit those around her. "I am so grateful to our customers who afforded me the time and loyalty during these challenges," says Cortvriend. "My husband provided so much direction, design and engineering, and to replace his expertise took a long time." She says it&apos;s rare that she runs into any problems being a woman in a traditionally male-dominated industry. "I am knowledgeable and very familiar with the products I sell and I&apos;m good at researching products if I don&apos;t know something. And that&apos;s a big support to my guys out in the field," says Cortvriend. Cortvriend and her crew of eight do mostly off-site work, providing mobile services to all of Rhode Island and southeastern Massachusetts. This article originally appeared in the New England and Connecticut and New York Home Waters sections of the July 2010 issue.